Everyone has been to a Q&A session before. Whether at some conference, or in a classroom, or at a meeting. Most of the time, these session are lacking. Whether from the quality, or lack thereof, of the questions, lack of audience participation, or whatever the case may be. However, a new company just launched out of Chicago’s 1871 incubator that want to drastically improve the quality of Q&A sessions: Social Q&A. The company has built a really interesting platform, and the team was kind enough to tell us about it. TechFaster: What is Social Q&A, and what do you do? Social Q&A changes how question-and-answer is conducted in almost any environment. Accessible from any Internet-enabled device, Social Q&A allows participants to submit questions, which can then be up-voted by other audience members, giving the event host or moderator insight into which questions are most important to the entire group. Social Q&A’s Web-based application means there is no app to download or software to install. Upon entering the app from any browser window, users are met with a clean, simple interface and the option to add a new question or view and vote on existing questions from other participants. Social Q&A is intended for meetings, events and panel discussions, as well as corporate town halls and sales presentations. With Social Q&A, hand raising and microphone passing are a thing of the past. The emcee or moderator no longer needs to field off-topic or duplicate questions, since the most popular and highest quality questions will rise to the top. Effective audience feedback is something the Social Q&A team has been passionate about for years. Responsive communication in many-to-one settings is ineffective at best and a horrible waste of time at worst. 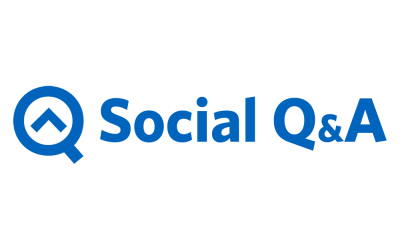 Social Q&A is solving the universal and very relatable problem of poor audience communication. What made you guys decide to build Social Q&A? The idea for Social Q&A started when John Pytel and Dave Mulder met at Startup Weekend in Lansing, Michigan a couple years ago. Both of them also went to MSU, but did not know each other until they met at Startup Weekend. At the event, Pytel liked Mulder’s pitch for a simple app that would allow students to ask and vote for questions electronically during class. The two ended up winning the Pitch contest for Startup Weekend and decided to eventually pursue the idea full-time, eventually adapting the concept for the meeting/events industry. Continue to grow, working with marketing and sales professionals, meeting/events organizers and other professionals responsible for situations that require 360-degree audience engagement. We would like to thank the Social Q&A Team for taking the time to answer our question. Check out their website for more info.